Get ready for some North Korea pullback, delay, threat or similar past activity. China needs some trade leverage, and they'll use their influence over Kim to encourage him to stir the pot. China is on the big losing end of the tariff issue, and they have no qualms about using NK to get some relief. It looks as thought my prediction may have some legs. North Korea is starting to drag its feet right about the time that the bigtime trade tariffs are kicking in against China. In an interview on PBS, National Security Adviser John Bolton was quoted as saying that NK hasn't been very speedy in taking effective steps to denuclearize. Bolton outlined several things that were done before the agreement, but that nothing consequential has been done since. Bolton used this lack of compliance with the agreement to promote what the US has called for all along -- international inspection. It's that old "trust, but verify" idea. There needs to be verification, which is why Trump didn't drop ANY of the sanctions against NK. Trump did suspend war games with SK. "We're looking for performance of North Korea's own commitment, made to us, made to South Korea beforehand, to denuclearize." When the host asked Bolton if NK was NOT living up to their commitment, Bolton said, "I’m suggesting President Trump has held the door open for them. They need to walk through it." As Trump has said over and over again -- "We'll see what happens." Including your CNN link, another excellent attempt. In this particular case, I must take some of the blame for not fully explaining a figure of speech in the US, which has contributed to the "picture" that you attempted to paint. There's no way you could have known that my reference to "the big three" was to ABC, CBS and NBC -- all television news organizations and a reference to their television news ignoring the social upheaval in Iran. None of the links that you provided are from the big 3, and two of them aren't even in the US. Since you took the time to quote me, and my post clearly says "In the US ...", I don't see how those two stray examples of the BBC and ABC Australia ended up being part of your attempt to refute my statement. I guess to satisfy all of those "looking for an opening", I should have provided a list of all US political publications instead of being too brief with an all-inclusive post pointing to "other political publications." But in the end, if you're happy with what you think is some kind of victory, that's all that matters. It didn't take long after Trump signed the EO regarding sanctions with Iran, that he plainly issued what's at stake. Trump let countries know that if they choose to do business with Iran, the US will not do business with them. The sanctions put back in place by Trump will target Iran's gold and precious metals industries and the automotive industry. The EU and the UK have decided to continue trading with Iran, and the EU warned industries under their flag that if they side with the US in these sanctions, the EU will sanction those companies. According to Forbes, at least 10 major companies (among others) have already decided to leave Iran and are seeking new suppy chains. 1. Total – The French oil company, Total SA, announced it would pull out of the billion-dollar deal it made with both Iran and the Chinese company CNCP if it could not obtain a waiver from the United States. The partnership was to develop the South Pars 11 natural gas field in Iran. Total was the only major international oil company to sign with Iran since the old sanctions ended in January of 2016. It had a 30% stake in the gas field, which Iran now intends to give to CNPC. 2. Maersk – The shipping company A.P. Moller-Maersk announced it would not longer ship Iranian oil due to the U.S. sanctions. In a statement by the CEO, the company was clear that it prioritized its business with the U.S. over business in Iran. He was not clear on exactly when Maersk would cease all operations involving Iranian oil. 3. Peugeot – This car manufacturer, owned by PSA Group, signaled it plans to pull out of Iran unless a sanctions waiver is obtained. It is putting plans into place to wind down activities in Iran by August 6, 2018. PSA sold 445,000 cars in Iran last year and does not currently market in the U.S. In addition to selling cars in Iran, the company had signed agreements with Iran Khodro Industrial Group to manufacture Peugeot cars in Iran and with SAIPA to build Citroën vehicles in Iran. 4. GE – General Electric GE +0.46% and its subsidiary, Baker Hughes BHI +0%, had made combined revenue of almost $25 million from contracts with Iran since 2016. These included deals with MAPNA, an Iranian electricity conglomerate, and contracts to provide pipelines, valves and other oil and gas infrastructure products to Iranian companies. GE and Baker Hughes will cease operations in Iran in accordance with U.S. law. The trade licenses that the company had been operating under are expected to be revoked in November. 5. Honeywell – Honeywell International HON +0.9% Inc., a technology company, had, according to the Wall Street Journal, over $110 million in revenue from Iran since 2016. It recently declared it would be pulling out of the country. Recently, a Honeywell subsidiary had obtained a contract to upgrade the monitoring and control technology at Iran’s Tabriz Petrochemical Company. 6. Boeing BA +1.21% – Boeing, which had a high profile $20 billion contract for airplanes with Iran Air and Iran Aseman Airlines, recently announced it will not be delivering the planes to Iran in light of the new sanctions. The company could have applied for a waiver from the U.S. government, but it announced on June 6 that it would cancel the contract instead. 7. Lukoil – The second largest Russian oil company was dubbed one of “the favorites” to develop oil fields in Iran. But the company decided at the end of May that it would no longer pursue any joint ventures with Iranian oil companies due to the impending U.S. sanctions. 8. Reliance – Reliance Industries Ltd., an Indian company that owns the world’s largest oil-refining complex, announced on May 30 that it would no longer accept crude oil imports from Iran. Because crude oil imports are contracted months in advance, Reliance will cease importing Iranian oil in October or November. 9. Dover DOV +0.52% – Dover Corp., which manufactures pumps and other products used in the oil industry, first signed contracts with Iran in 2017. It now plans to end all business with Iran in accordance with sanctions. 10. Siemens – Siemens Corporation, which manufactures a variety of healthcare, industry, energy and automobile products, announced it would no longer take new orders from Iran. It will wind down its business interests there. Even though the EU has threatened businesses with punishment, being able to trade with the US seems to be more important to many companies doing business in Iran. All types of businesses across the spectrum are now announcing plans to cease doing business with Iran or to leave Iran because of the US sanctions. Those are web sites, but I'm happy to see that they are at least posting things online. Dean Comrade LS wont answer you because you like me and all the other posters are on his Foe's list. So he will not be able see what you say thats why you never get an answer from him. Time to man up, EU. You've been on the coattails for 75 years. No more gravy train, spongers. I, for one, am sick and tired of the sick EU duplicity -- the bellow America is the unwanted world's policeman, yet they depend heavily on that security, underfunding their own defense and undermining their futures by hating themselves to death. Why would anybody defend such idiots? Time to (wo)man up, EU. You've been on the coattails for 75 years. No more gravy train, spongers. I, for one, am sick and tired of the sick EU duplicity -- the bellow America is the unwanted world's policeman, yet they depend heavily on that security, underfunding their own defense and undermining their futures by hating themselves to death. Why would anybody defend such idiots? Yes, the trade war already occurred. It was against the US, and the US has been losing for many years. Same with NATO. Same with the UN. We end up putting up more money than the rest, and in return have to put up with all the bullshiggity. I hope that things can level off and be more fair. Turkey now in a big sweat with Trump increasing steel and aluminum tariffs. Currency falling hard. Erdogan now wants to talk. Trump wants Pastor Andrew Brunson released. I don't think Trump is likely to lighten up. Turkey is still a bad neighbor, and yet they are allowed to remain in NATO. Tells you something about the standards involved there in the total membership. Some EU countries continue to do business with the world's largest state sponsor of terrorism -- Iran. Some of those countries had the nerve to cry about Trump balancing the trade books. 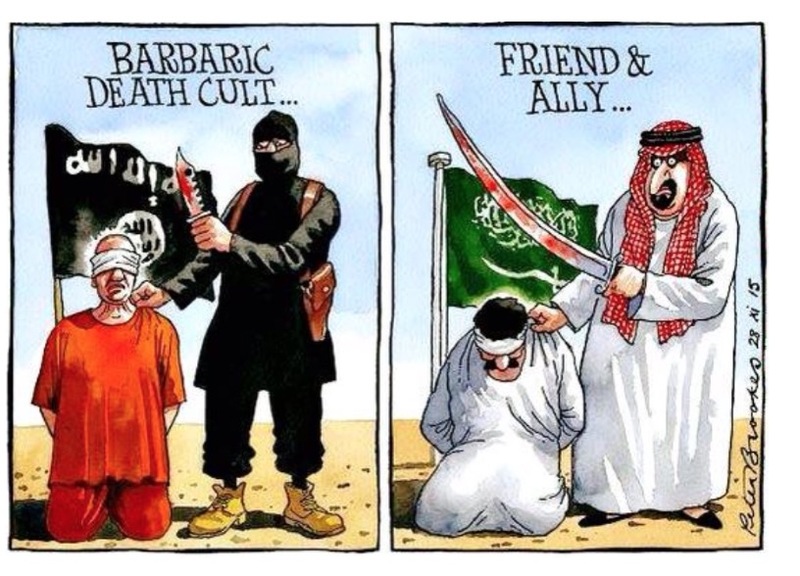 It's not about allies and friends. It's about allies who took advantage of a friend for years and now cry about getting kicked off the gravy train. Sounds a lot like the 33 year old who won't move out of his parent's basement. Time for some of those countries to put on their big boy pants. Why does the US continue to do business with Saudi Arabia after 9/11. Some EU countries continue to do business with the world's largest state sponsor of terrorism -- Iran.